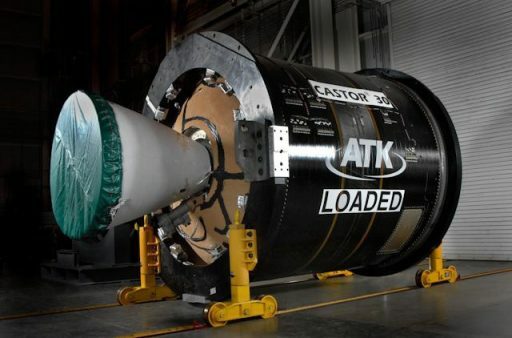 The Castor 30XL Upper Stage of the inaugural mission of the Antares 230 launch vehicle re-entered the atmosphere on November 6, 2016 after only three weeks in orbit following the successful launch of the Cygnus OA-5 cargo craft to resupply the International Space Station. It was the first Castor 30XL solid-fueled upper stage to reach orbit and delivered a flawless performance during flight, actually sending Cygnus into a slightly higher orbit than predicted. Re-Entry Prediction: November 6, 2016 – 18:53 UTC +/-2 Min.